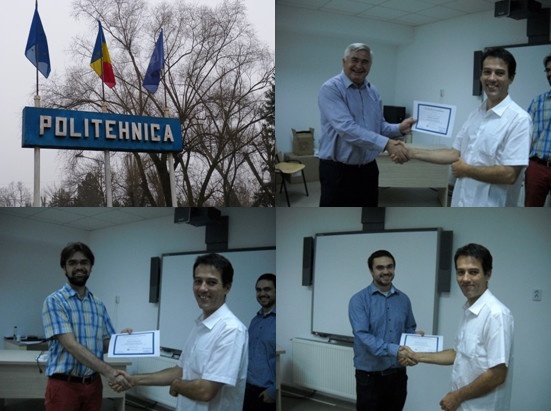 The University POLITEHNICA of Bucharest acquired a Xeuss 2.0 UHR SAXS/WAXS system from Xenocs. The equipment was installed at the Department of Science and Engineering of Oxide Materials and Nanomaterials at the Faculty of Applied Chemistry and Materials Science. This very high-end instrument will be used as a platform equipment within the University, and will serve many different applications, such as the study of biological samples, polymers, composites and particles. With a maximum sample-to- detector distance of 6.5 m, the Xeuss 2.0 UHR system extends the resolution of Xeuss 2.0 to dimensions that are not usually accessible with traditional laboratory SAXS equipments. It allows to reach very low scattering vectors down to 0.01 nm-1 or smaller for the characterization of samples having internal structures with characteristic dimensions above 200 nm (up to 500 nm) also providing information in 2D dimensions thus compatible with orientation studies(1) or grazing incidence measurements(2). High quality data analysis is ensured by a nominal resolution equal to Δq = 0.001 nm-1, providing a sufficient number of data points and enabling accurate model fitting procedure. The instrument also embeds Xenocs SWAXS module which will enable the users to study simultaneously the nanostructure of the samples with the SAXS detector, a Dectris Pilatus3R 300K, and their crystalline structure with the WAXS detector. Although such a high-end system has already been installed in China, this is the first Xeuss 2.0 UHR equipment installed in Europe. “I am very glad to see the enthusiasm of the users towards this top-of-the range equipment which allows them to characterize structures up to several hundred nanometers”, Xenocs Vice President Frederic Bossan explains. “Two other systems like the one installed here in Bucharest will be installed in the next few months, one at the University of Sheffield in the UK, and one in South China University of Technology, in Guangzhou”. Happy new trainees after theoretical and practical training on the Xeuss 2.0 ! For more information, please read the interview with the Department of Science and Engineering of Oxide Materials and Nanomaterials, University POLITEHNICA of Bucharest.